Rodney Atkins isn’t going to let a little stormy weather cancel his show. The singer found his outdoor concert at the Second Annual SEC BeachFest in Gulf Shores, Ala. rained out last Saturday night (Aug. 17), but he wasn’t about to retreat to his tour bus and enjoy an evening off. 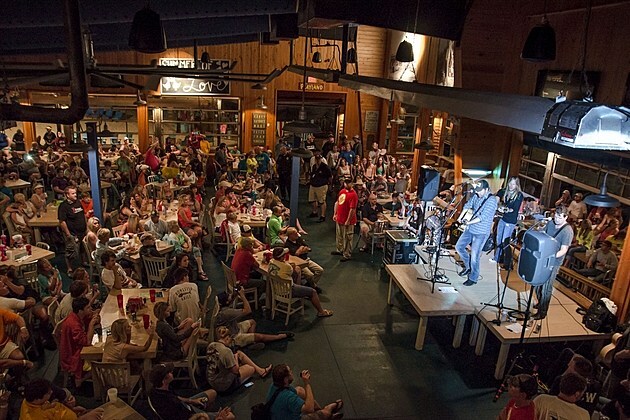 Instead, the platinum-selling singer moved his show to the popular local eatery, the Hangout, using a few restaurant tables pushed together as his stage, and performed for the hundreds of fans who had quickly assembled.